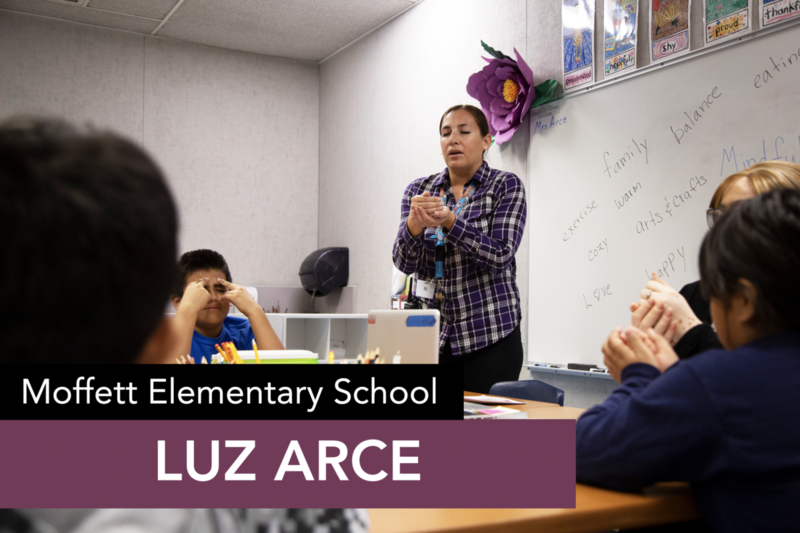 Moffett Elementary School Counselor Luz Arce conducts Social Skills groups with the help of Counselor Assistant Stefani Macias. Lessons are designed with the children’s stages of development in mind. The Counseling Center has been equipped with puppets, games, books, crafts, and posters that creates a safe and caring environment. For example, last week the hot cocoa cup mindfulness lesson was delivered to the students. The objective of the lesson is for students to learn the definition of mindfulness, participate in a mindfulness exercise, and be able to identify at least two things that bring them joy. Ms. Arce leads the students through a calm and soothing exercise. Students learned to breathe in through their nose and out through their mouth. By the end of the exercise, students were relaxed, calm, and were opened minded. Thank you Ms. Arce for helping our students build invaluable skills they can use inside and outside of the classrooms!